To purchase Wishing Lanterns click here. INFORMATION BOOTH DURING THE EVENT! Balloon rides are not available for purchase. The pilots fly as showman. Rides are offered to the sponsors of the event, to media and to volunteer crew members (weather permitting). The best way to get a ride is to become a sponsor or volunteer as a crew member for a pilot. Click on the link below to fill out an application for sponsorship. 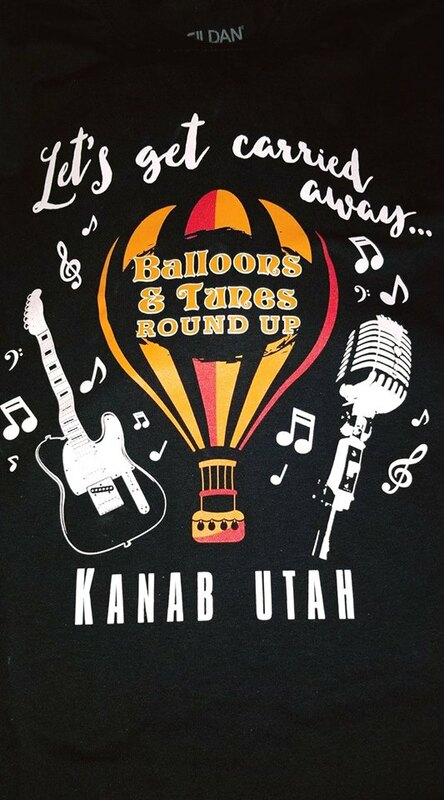 If you are able to be a balloon crew member for all three flights on Friday, Saturday and Sunday mornings, you can sign up at the Event/Volunteer Center. (435) 644-3696. Battle of the Bands will be on North Main Street. The event is free but if the audience would like to participate in voting, they will need to buy an event t-shirt to receive a ballot. The shirts are $20 each and they can be purchased at the Information Booth at the street fair on Main Street. Audience votes will count as 25% of the total and the three judges scores will count as 75% of the total.